Sandhill Cranes at sunset kick off our February Recent Photos Gallery. 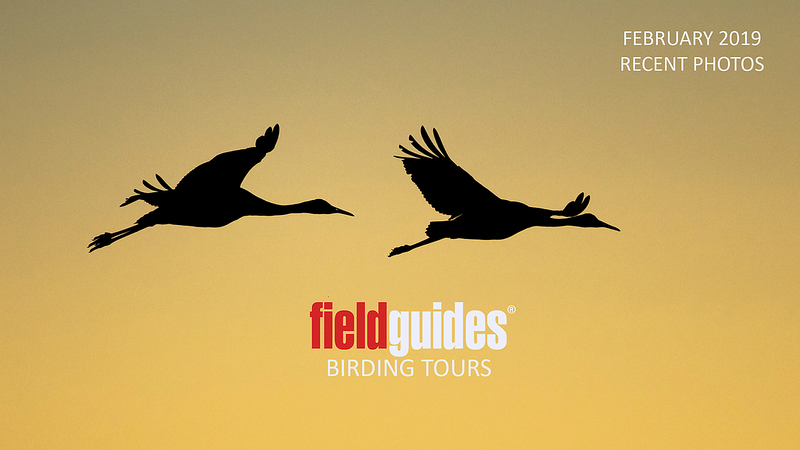 Guide Cory Gregory captured these artistic silhouettes during the inaugural departure of our New Mexico: Birding the Land of Enchantment tour. Other tours we're highlighting in this month's slideshow include: Thailand, Nowhere but Northeast Brazil, Amazonian Ecuador: Sacha Lodge, three different departures to Costa Rica, Holiday in Honduras, South Texas Rarities, Jewels of Ecuador and two departures to Guyana!